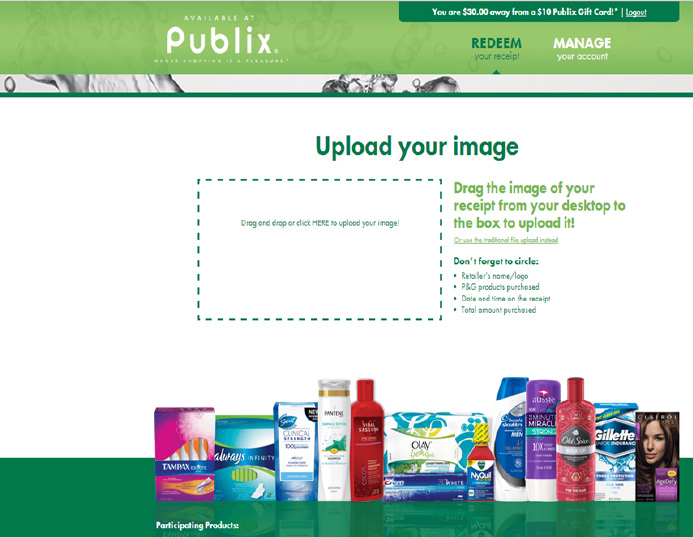 · Consumers who purchase the promoted P&G products at Publix earn points which are credited to the users account. 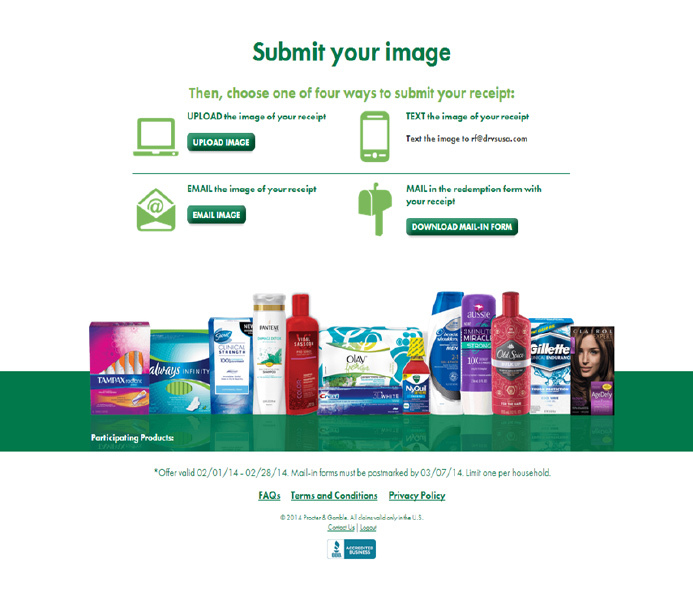 · The shopper will have the opportunity to upload their store receipt via their computer or mobile phone. They may also text or email a photo of their receipt to the provided address. · TPG will validate the photo submission via its patent pending DRVS validation platform. If the shopper has qualified, TPG provides the user with an approval message informing the shopper that they have qualified. Points are credited to the users account online. 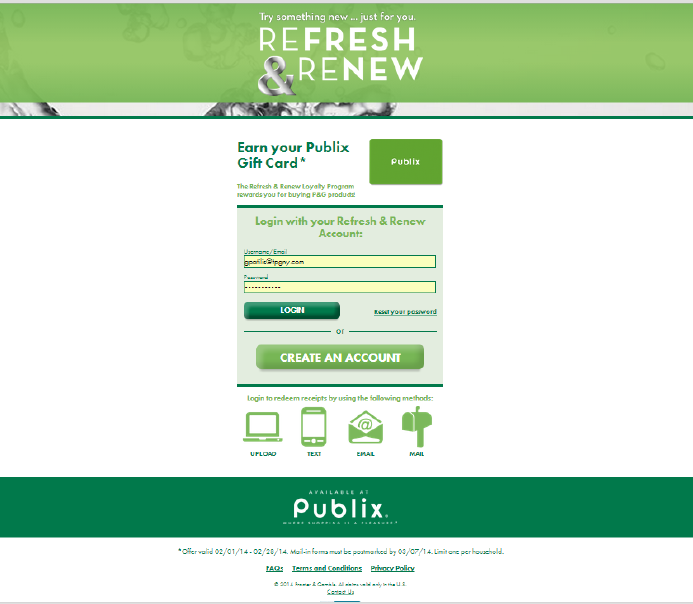 · When enough points are earned, shoppers earn a Publix Gift card.